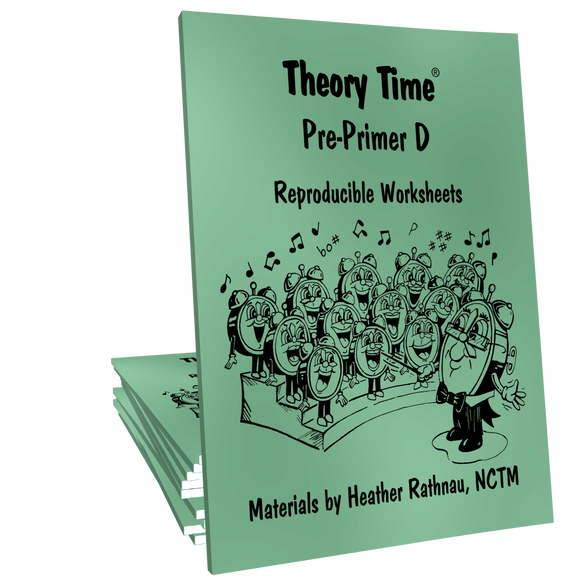 Theory Time’s reproducible Pre-primer D is a 50-page workbook that presents the basic elements of rhythm, how to draw notes, stems, and rests through time signatures, measures, counting and dynamics (loud & soft). Types of notes include quarter, half, dotted half and whole. Rests include quarter, half and whole. 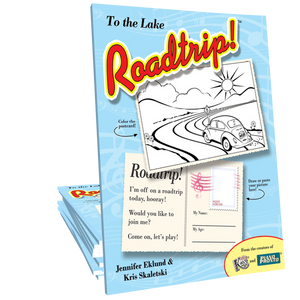 Worksheets can all be enlarged for the very young students with all learning styles who need extra practice in developing the fine motor skills needed to write notes and rests legibly. Visual and aural recognition and understanding of what is meant by a steady beat are emphasized. Students are given written examples to complete and asked to tap and clap simple rhythm patterns. 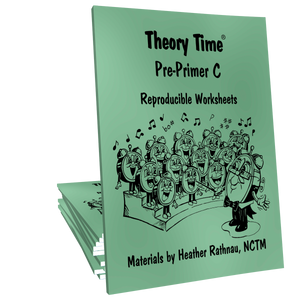 Concepts covered: basic elements of rhythm, how to draw notes, stems, and rests through time signatures, measures, counting and dynamics (loud & soft). Types of notes include quarter, half, dotted half and whole. Rests include quarter, half and whole. Worksheets can all be enlarged for the very young students with all learning styles who need extra practice in developing the fine motor skills needed to write notes and rests legibly. Visual and aural recognition and understanding of what is meant by a steady beat are emphasized. Students are given written examples to complete and asked to tap and clap simple rhythm patterns. The concept of what a dot means in music is explained, and enrichment activities are given to help students understand the relationships between the various note values. 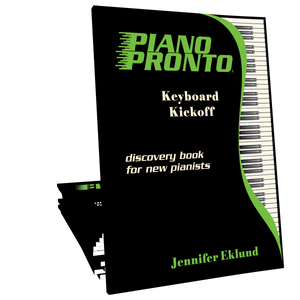 The use of the metronome is introduced in a fun and captivating manner in Lesson Four, where counting with note values is initially presented. Lesson Five focuses on time signatures and what they mean. Other info: Adapted to suit all learning styles. 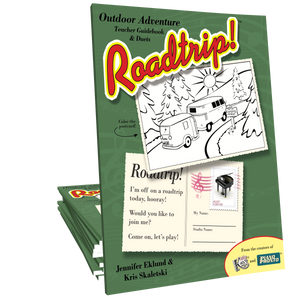 Part of the proceeds from the sale of an item in the Pre-Primer series is donated to Dreams Fulfilled Through Music, a non-profit organization created to assist children with special learning needs.